Based on a study of 12,000 elementary school children in eight large and medium-sized American cities, this book presents the first large-scale study of political attitude formation in children. The authors view political development from the perspective of a general theory of socialization, and compare the influences of social class, intelligence, teacher attitude, and religious membership on the growth of political attitudes. The book outlines the way in which the child's political awareness evolvesfrom identification with authority figures such as father, policeman, the president, to a grasp of more abstract political concepts and the rudiments of political participation. Illuminating a topic of great theoretical concern and practical educational importance, the book is a significant contribution to the fields of political sociology, child development and educational psychology, and an important reference work for all concerned with the processes of socialization and of attitude formation in general. 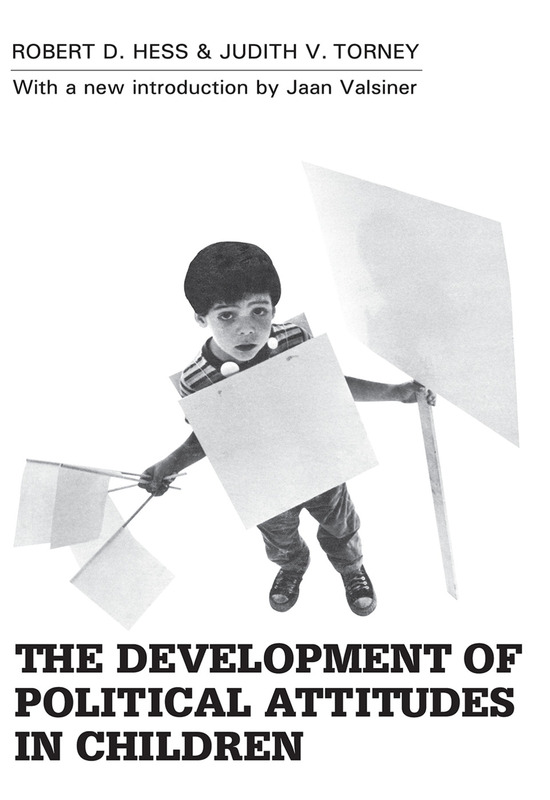 The Development of Political Attitudes in Children was based on a major survey, the first of its kind, begun at the University of Chicago in 1960 to as certain information about the induction of children into the political life of the United States, to describe the nature of socialization into citizenship roles, and to examine pre-adult political learning and behavior in terms of other implications for the stability of the political system.